Steve Reese’s community spirit, work ethic and can-do attitude epitomize the Spirit of Sonoma County Award. Reese was honored alongside 21 other community members at the annual awards ceremony on December 4th. The ceremony, held at the Doubletree in Rohnert Park, was put on by the Sonoma County Economic Development Board. Susan Gorin, Chair of the Sonoma County Board of Supervisors gave the welcome and opening remarks and presented awards to the recipients. Kenn Cunningham of Exchange Bank was the emcee for the ceremony and introduced each recipient. Ben Stone, director of the Economic Development Board, gave the closing remarks. This year marks the 15th anniversary of the Spirit of Sonoma Award. The award honors those who contribute to the economic development and enhancement of their community. The event allows professional and trade organizations the opportunity to recognize individuals that go above and beyond their everyday obligations. 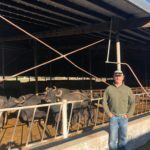 Reese was chosen by the Sonoma County Farm Bureau for his contributions to the Farm Bureau organization as well as the agricultural industry. Reese is a Santa Rosa rancher. He raises cattle and grows grapes alongside his wife Kathy on the Denner Ranch which has been in her family for more than 100 years. Kathy is also a past recipient of the Spirit of Sonoma County Award. 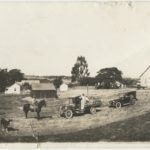 Previous to his involvement on the ranch, Reese worked for the San Rafael Public Works Department while assisting with ranch duties on nights and weekends. Now, he is a strong advocate for agriculture. Reese is one of Farm Bureau’s most dedicated volunteers, actively involved with all Farm Bureau’s large events including the Great Sonoma Crab and Wine Fest, Love of the Land and Ag Days. Reese works hard on ag education events to provide school-age children with a life lessons about agriculture. Additionally, Reese volunteered at the Tomorrow’s Leaders Today’s ag tours throughout the month of October, helping create a feast of locally produced products for high school students. Reese also is active in the politics of farming, being one of the top members of the California Farm Bureau’s “Farm Team” which communicates with legislators, providing Farm Bureau’s position on pending legislation. Reese gets up at 5 a.m. and gets on his computer to be part of the Farm Team. In addition to his hard work and dedication with Farm Bureau, Reese is a member of the Sonoma County Fair’s beef committee where he helps with the steer weigh-in and the barbecue for auction buyers. Additionally, Reese also donates time to the Sebastopol FFA’s fundraising events and other youth agriculture groups. Reese works tirelessly to keep agriculture strong, viable and the backbone of the Sonoma County economy through agriculture, education, advocacy and outreach to urban consumers. Reese embodies the Spirit of Sonoma County. The Sonoma County Winegrowers nominated Kirk Lokka, vice president and general manager of Emeritus Vineyards, to receive a Spirit of Sonoma County Award. Lokka began his ag career as a cotton farmer, but that lasted only six months before he moved back to Sonoma County. He spent the next 23 years working for Sonoma-Cutrer before starting Emeritus Vineyard with his wife Debbie. He has been instrumental in establishing seminal wide industry events. He helped the Sonoma Valley Grape Growers with their first Labor Day auction which has become the Wine County Weekend’s harvest auction that raised over $4 million this year. He helped establish the Sonoma County Pruning Championship as well as the youth pruning contest. Lokka embodies the qualities that make Sonoma County Strong. Other Farm Bureau members receiving awards at the ceremony included Ann Pitts of Shiloh Grape Vineyards, Clay Green of CATS4U and Todd Mendoza of Coldwell Banker. Sonoma County Farm Bureau congratulates all 22 award winners.